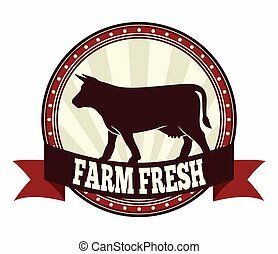 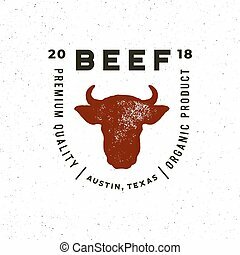 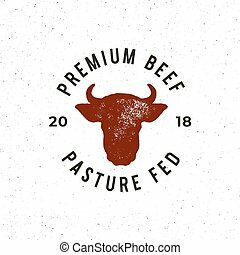 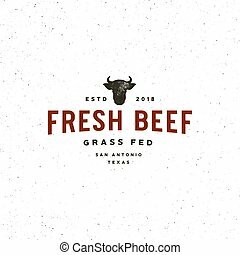 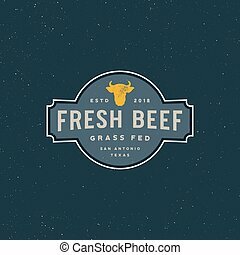 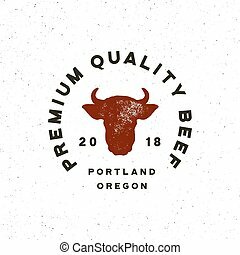 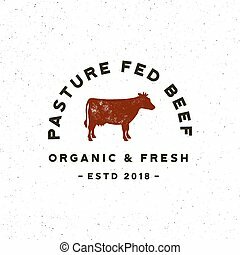 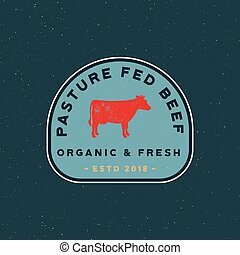 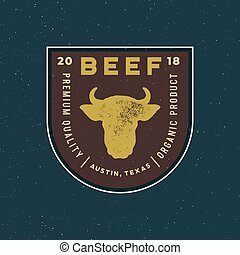 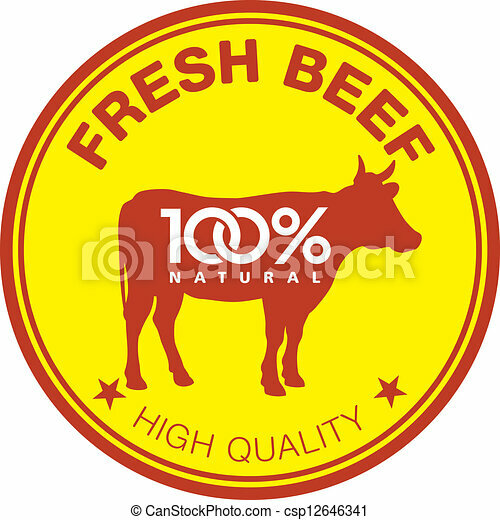 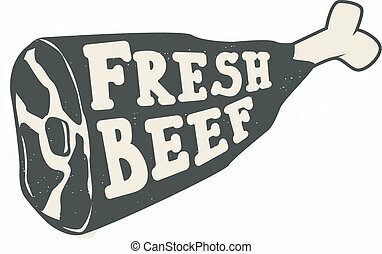 Fresh beef label. 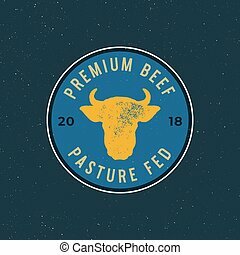 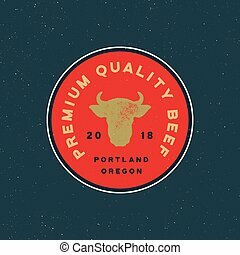 Label with a cow silhouette. 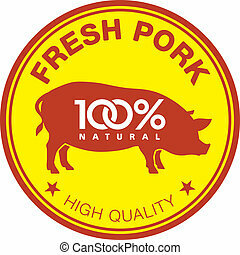 Ham with sample text. 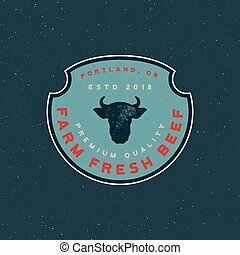 Retro styled vector illustration. 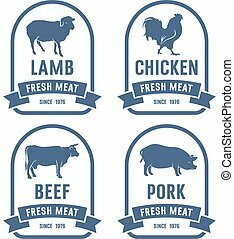 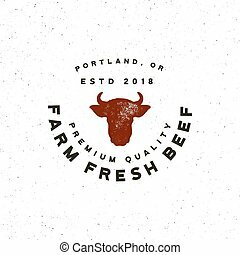 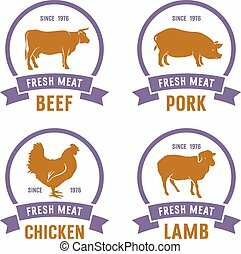 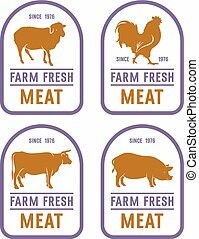 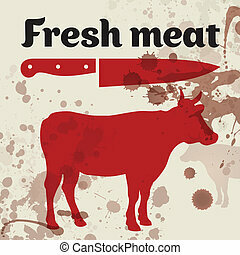 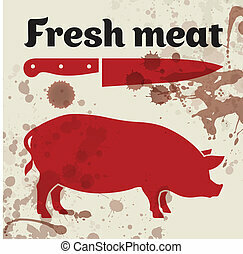 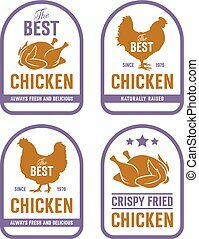 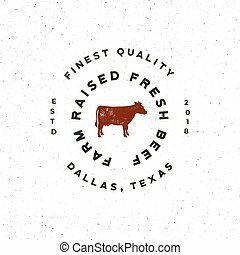 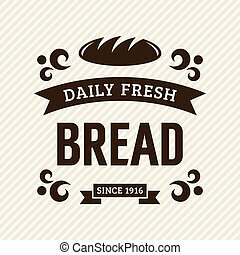 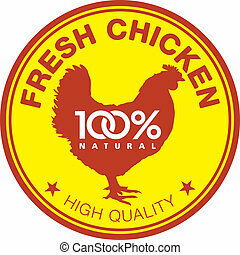 Butchery label design template.